How much are you willing to pay for sentiment? What do you do for Mother’s Day? As the day approaches, I receive junk mail (for flowers, jewelry, figurines(?)) and see the commercials, which strongly encourage me to do my share of giving and gifting for yet another celebratory opportunity that involves nice, sweet and sometimes fancy gifts. But see here… I’m actually the target of this special day as I am also a mom, but the truth is, this advertising ploy is not going to work on me. I’m simply not going to buy into sentiment. I’m not very big on receiving gifts on quasi-special occasions; I guess it was just never in my nature to be that outwardly or effusively sentimental. Perhaps I’m just the practical sort. But simple sentiment that isn’t bought are found in presents of my choice — stuff much like the hand-written letters from my grandmother who has passed away, the cards my preschool child has drawn out for me, or the volcanic rocks I picked up from a trip to Hawaii with my soon to be husband over 15 years ago. You get the picture. Yes, this item was actually placed under the category “Gifts For Mom”. I fail to see how anyone older than 8 years old would want a baby doll, but this is probably because I just don’t “get” the collectibles market. As an investor though, I would probably enjoy educating myself about this type of market. Can you imagine how sweet this little miracle is! The doll is quite lifelike and it’s an original! It’s made of vinyl, and is an authentic collectible that seems so real that she even looks like she is breathing. The creator of this doll is Andrea Arcello — a top notch master artist. Cradling this baby in your arms is pure joy. This lifelike baby can be yours, all for the astounding price of: $129.99 US. This just doesn’t excite me as I don’t wear jewelry at all. And that is because I’m somewhat rebelling against the provisions of my culture, where women are steeped in jewelry from head to toe. And I have never worn anything that had a heart on it, even as a kid. Looking for that perfect gift for Mom on Mother’s Day? Give Mom this Thomas Kinkade heart-shaped jewelry pendant, inspired by Thomas Kinkade’s beloved painting, “A Perfect Red Rose”! 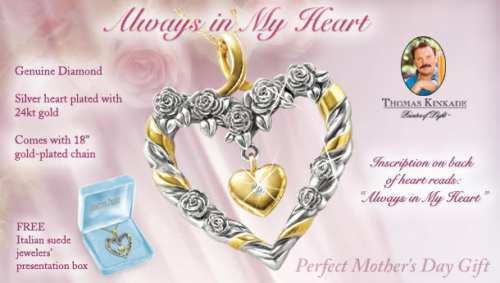 A symbol of perfect love, this beautiful Mother’s Day diamond pendant makes a great Mother’s Day gift idea; it’s elegant heart-shaped design is expertly crafted of sterling silver roses with gleaming 24K gold-plated ribbon accents. A second 24K gold-plated sterling silver heart is suspended within, showcasing a single shimmering diamond – what a way to thrill Mom on Mother’s Day! Okay, not strange enough for you? Then what about this kind of jewelry? If you check Etsy.com, there are some great ideas here for gifts you can give any mom. For those Twilight moms out there (e.g. a mother who is obsessed or addicted to the “Twilight” saga), sometimes money is no object! After all, anyone who’s addicted to a trend can rack up the bills this way. I love my garden quite a bit, but I’m not quite sure about benches with words on them. Mom will know just how special she is every time she reads this heartfelt poem! 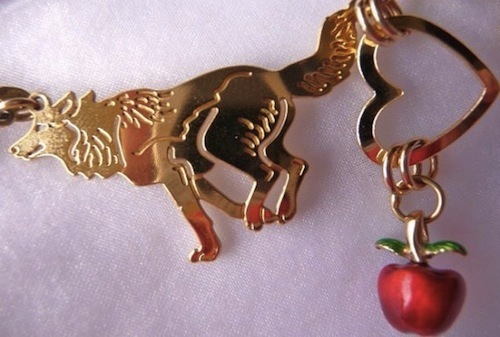 On yet another day of wanton appreciation, we’re out there in full force buying up these charms. Are those warm and fuzzy feelings really worth the hundred or so bucks you spend on it? For many, the answer is: Yes, appreciation knows no bounds. And this is what the merchandisers want to hear: for instance, if you have a mother in your life who insists on a token reminder of your love and care, there are many places and catalogs where you can shop for gifts for any mommy type you can think of: from “gardening mom” to “pet-loving mom”, “stylish mom” and even “gadget mom”. The marketing tsunami out there refuses to leave any mother’s gift unturned. If you ask me though, I’ll say: save your money. There are more basic, simpler options I’d consider. Time spent, special moments instead of special stuff, a present carved out of resourcefulness and a shot of creativity (that everyone can muster somehow, if they tried). Or if you insist…I’ll take a free e-card. So here’s my message to my loved ones on these days of tribute now and every year forward: I’ll take good behavior, time and affection over anything material. Did I say I wasn’t terribly sentimental? So how do you “celebrate” Mother’s Day? Created May 8, 2007. Updated May 9, 2012. Copyright © 2012 The Digerati Life. All Rights Reserved. What the heck is wrong with a $3 hallmark sentiment? The only problem is that the USPS doesn’t deliver on Sundays. I’m surprised you only used two examples of chintzy jewelry. What about all the mother birthstone bracelets? Dimes — nothing is wrong with a $3 hallmark sentiment; I was saying that I’m not the type who goes for that sort of stuff, but perhaps many others do. Also, I’m just impressed with the hundred dollar gifts available for purchase right now for special days that honor each type of person in our lives. I agree 100% with you! I am so glad my family has developed a much more sensible tradition – they buy my annuals for the garden on Saturday and then give me the whole day Sunday to putter in the garden – offering up any help I may need. Finally, someone who’s willing to SAY what I’ve been feeling for a long time. First, we simply don’t have the money to spend on our loved ones for every Mother’s, Father’s, Grandparent’s, birthday, you name it. Second, I feel every day is Mother’s Day, and folks ought to treat their loved ones with kindness all the time, rather than save up all their emotion for just one day! Third, I think it’s disgusting how gobs of retailers take advantage of these pseudo-holidays to pressure people into buying useless crap – and most of it IS crap – for their loved ones. Argh. For the cost of a stamp I think we can all give our mother’s the best gift ever – a simple letter by our own hand acknowledging all the things and times they touched our hearts and lives that they may not have known or remember. I thought about it more, and I’d go for a good meal to a favorite restaurant with my family. Yes, it’s very conventional, but that’s the kind of Mother’s Day celebration I’ve come to enjoy and expect. This is ok, but how much do dolls cost ? My daughter wants one really bad and I want to get her this or a baby. Think it over — which one is better? Hmmm…. that may sound like an odd request but it’s something I can see myself making, actually! I like how your wife is a practical thinker. Many of us would prefer to offload a task onto someone else; if anyone can take something off my plate of things to do, it’s something I can appreciate much more than another trinket. My dh just bought me a basic sewing machine I wanted for Mother’s day and I LOVE it. 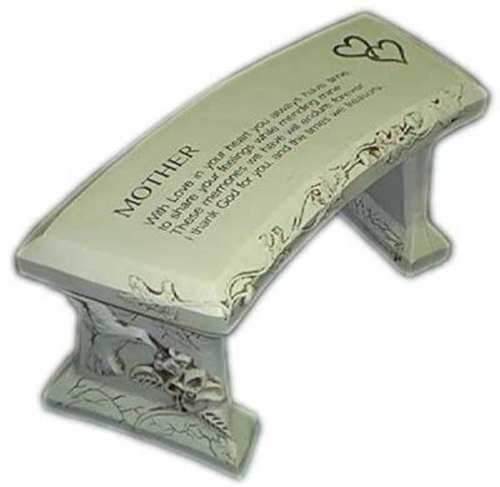 Normally I would not want anything for Mother’s day, but peace and quiet. But this year I wanted something different and I got it. The only person I give mother’s day gifts to is my bf, the most incredible person I have ever known. This year, the gift fell right into my lap. I started a facebook page and site to help promote products and services that benefit animal rescues (the animal rescue shop). I discovered an app called payvment that lets me sell my own items right on Facebook. I had my bf look over my bracelets to make sure they were sales-worthy and she really loved one in particular. Her gift suddenly became a no-brainer. Wow. That first one? I have no words. NOT going to be spending $130 on a “lifelike baby” for my mom! Thanks for sharing these special finds, SVB! Thanks for sharing your sentiments. As with “Mom’s” comment, I prefer non-material gifts in general (maybe because I am pretty picky about stuff), but I’m always up for “peace and quiet” also. 🙂 Good to hear that your gift worked out, Catherine. @Bethy, the funny thing is that there’s a market for anything. Porcelain dolls and other similar collectibles have been going on strong — I guess we’re just not the target audience for them!